Mirrors have been sold on eBay. Switch 23154700 still available. Bumping once.. they are going on eBay shortly. I recently bought a set of custom DL3 mirror harnesses from /profile/159655-pgamboa/?do=hovercard" data-mentionid="159655" rel="">@pgamboa.. fantastic experience! He had them shipped within an hour of my payment and replied within minutes to every PM I sent about the installation. His custom harnesses are fantastic, but his tech support is even better. Highly recommended. I recently bought a pair of DL3 mirrors from /profile/169849-ckrado/?do=hovercard" data-mentionid="169849" rel="">@CKrado.. shipping was very fast, communication was excellent. The mirrors were packed well and everything was as described. Thank you! Just wanted to share a positive vote of confidence about my experience upgrading from DL8s to DL3s with pgamboa's help.. his harnesses make the process very straightforward, but his tech support is what puts it over the top! Just follow his guidance and you should be fine. A few small tidbits I would like to share with those looking to embark on this adventure: 1) It is very doable, even if you are not a "car guy" or electrical genius. It takes some time, but it's not complicated. 2) Sheet metal is sharp, especially in areas that GM didn't expect customers to be sticking their hands. 3) Remove your door speaker! It's simple but took me awhile to realize how much easier that made things. It's only one screw and a simple wire harness. Thanks Phil! Here's another positive review for pgamboa and his custom harnesses!! 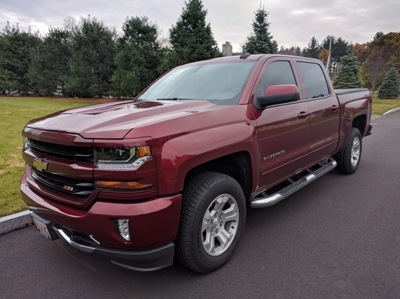 I have a 2016 Silverado 1500 LT crew cab and upgraded from the standard DL8 mirrors to the DL3 like most of you. When I first started researching the upgrade and discovered all of the wiring differences, I almost wrote it off and decided it wasn't happening. Thankfully I happened to come across one of Phil's posts about offering his custom harnesses for sale, so after grabbing a set of mirrors from another member and a new door switch, I dove in head first. Not only did Phil ship quickly (literally within an hour of my payment), but he also virtually held my hand as I worked my way through the install. I had a few questions along the way, and he replied to my PMs within minutes. It was mostly silly little things, but he saved me lots of time and headache by pointing me in the right direction. The price is more than fair, as these harnesses are complex and he clearly knows what he is doing -- not to mention the tech support he provides. I am very happy and could not have done my upgrade without Phil's products or his knowledge. Thank you sir! What is the part number of the other mirror? Also interested if still available.. thanks. Also interested if still available..